Don't be confused by imitators. 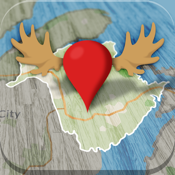 iHunter New Brunswick is the #1 Hunting app for New Brunswick hunters! 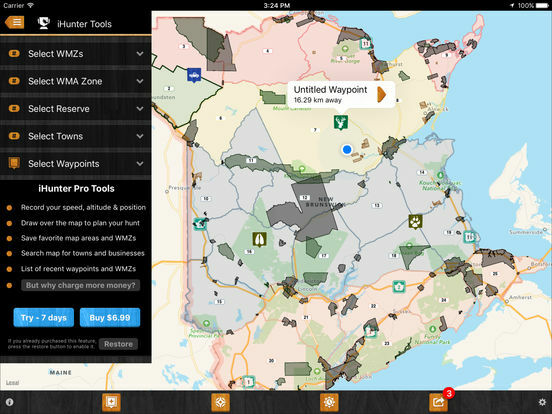 iHunter New Brunswick gives hunters and outdoor enthusiasts a new view into New Brunswick's wildlife management zones. 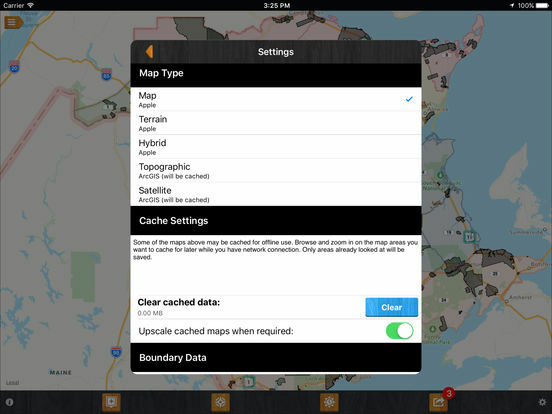 By overlaying the WMZs on top of the built in iOS maps, users can see their current location and which WMZ they are in. 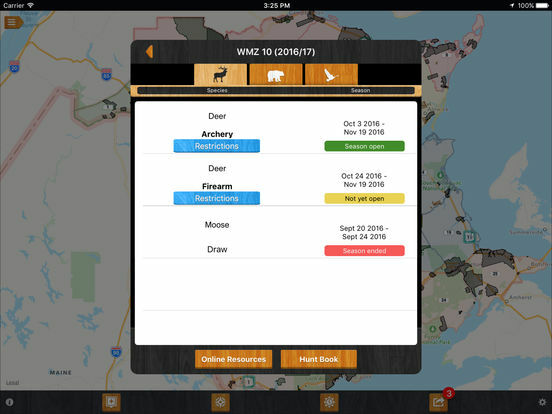 Dive deeper into specific WMZs to see which big game, predator, and game bird seasons are open. 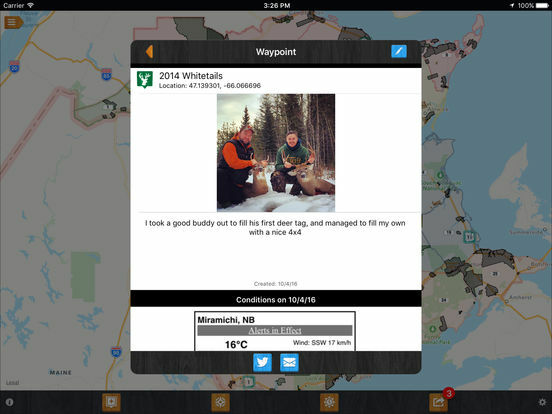 Contribute to the map by adding your own waypoints to keep track of hunting spots, past animal harvests, and landowner contact information.